A new 10-bed hospice is planned for north Waterloo. Hospice of Waterloo Region bought five acres of land on University Avenue across from RIM Park, where it will build the centre. The charitable organization has been providing programs and volunteer services to people living in the community with a life-threatening illness and to their caregivers and family members for 23 years. This will be its first residential hospice. That's good to see. I'm somewhat surprised they wouldn't go a bit larger, given that a big portion of the costs is in the shared support services anyway. But even 10 additional hospice beds for the region is still good to see. (04-12-2017, 02:02 PM)timc Wrote: Who did they buy the land from? Not exactly sure, this past summer a demolition company removed a barn and silo that was on the property. Doesn't really seem like a tidy/easy connection. And both are more or less local access roads, so would there be much to gain from connecting them? (04-12-2017, 02:05 PM)tomh009 Wrote: That's good to see. I'm somewhat surprised they wouldn't go a bit larger, given that a big portion of the costs is in the shared support services anyway. But even 10 additional hospice beds for the region is still good to see. Hospices generally don't go over 10 beds, at least in Canada. I used to work at the one in Burlington and they said that it was more or less the optimal balance between maintaining a less institutional environment and providing the services needed. (04-12-2017, 02:59 PM)tomh009 Wrote: Doesn't really seem like a tidy/easy connection. And both are more or less local access roads, so would there be much to gain from connecting them? It's just weird the way that Labrador awkwardly ends in some jersey barriers. I wonder if there were any future plans for the road when the Blackberry campus plans were submitted to the city. There would be some nominal road efficiencies, say, for more routes out of RIM Park to distribute post-event load, but you're right, in that it is nothing terribly pressing at the moment. 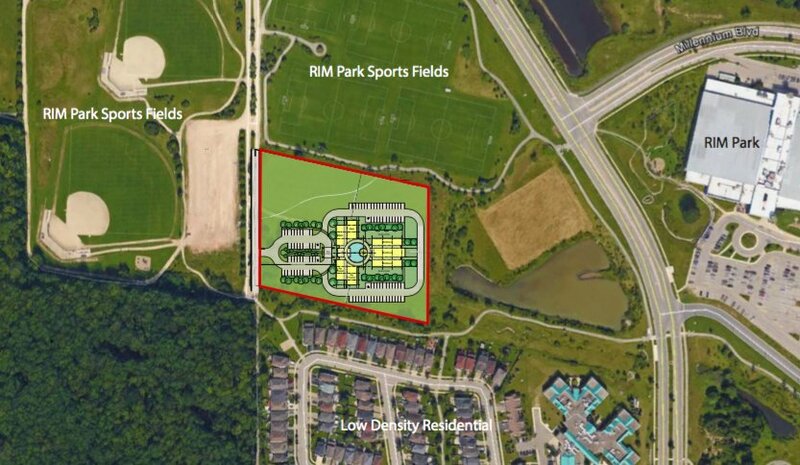 Isn't five acres a huge site for a facility of this size? Depends what sort of outpatient and family programs they plan to offer. Hospices can also offer bereavement counselling, music therapy, and guidance in how to live on your own after the loss of a partner. Hospice Windsor is about that size. What will the hospice have to say about the soccer and baseball games and attendees onsite until 11pm during summer? I should think that they are fully aware of how the neighbouring sites are being used now. I believe the City of Waterloo owned this land and it was purchased at the time all of the land for RIM Park was assembled. The city changed the layout of Waterloo Park's festival areas because Luther Village moved in and complained, so I have to ask. I would expect that given that the average hospice stay is 10 days, that there won't be much time for a resident to be upset by the noise.